Some 100 technology developers, business experts and social entrepreneurs assembled in Paris this past weekend to come up with tech-based tools that could help integrate refugees into French society. The winning project: "Textfugees," which tackles the issue of refugees' lack of Internet access. It was created by seven young entrepreneurs and developers. "We started talking with refugees and most of them didn't have access to the Internet, so we figured texting to be a good solution," team member Louisa Mesnard, who is studying entrepreneurship in Paris, told The Huffington Post. The Paris hackathon, held at a programming school, was the latest in a series organized by Techfugees, a London-based group that brings together people from the tech and startup worlds "to offer concrete and innovative solutions" for refugees' problems. Textfugees is a tool that allows refugees to enter minimal amounts of personal information -- name, phone number, location, refugee or asylum status, and a few other characteristics -- by text message. That information is shared with charities and other nonprofits seeking to assist in the resettlement process, and they can then communicate with the refugees via text message. For example, "texts can be reminders for medical or legal appointments," Mesnard said, adding that the texts can be sent in up to 40 languages. Several nonprofits in France have signed on to make use of the technology, which is already live. Action Emploi Réfugiés, a platform that connects refugees with potential employers in France, plans to use Textfugees as an another means of communication with those job-seekers. The hackathon jury responded to her team's idea, Mesnard said, because it addresses three problems: It solves a communications issue for refugees who can't get online, it breaks down language barriers, and it allows charities to share information with each other in order to better serve refugees. Runner-up ideas included Jobs4Talent, a website that functions as a LinkedIn for refugees, and JustHelp, an online food and product ordering platform for charities. The winning team from this weekend's Parishackathon came up witha platform called "Textfugees." 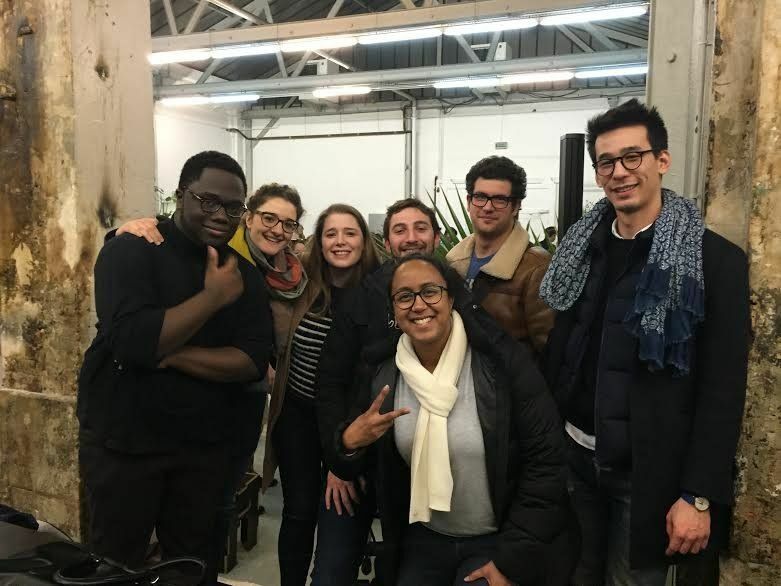 The winners get the opportunity to spend six months refining their project with SINGA, one of France's major refugee and asylum-seeker support organizations. They also receive a trip to London to present the project to the entire Techfugees team and a coaching seminar with LearnAssembly, a French entrepreneur and coding school. Mesnard said that she and her team haven't decided how they will move forward yet or whether they will all sign on in the long term, but she's excited to offer the technology to more charities and potentially expand the service to other countries. Techfugees launched in September of last year. The next month, it held its first hackathon in London, which produced such platforms as GeeCycle, a website where people can recycle and donate their mobile phones to refugees; Migreat, a way to streamline online visa applications; and Refugees On Rails, a tool that teaches refugees to code. The New York hackathon last month brought in participants from companies like Warby Parker, Mastercard and General Assembly, CNN reported. It focused on issues related to refugee education, like barriers to enrollment and language hurdles. "People don't know how to take their compassion and turn it into action," Brian Reich, director at The Hive, an innovation lab tied to the United Nations High Commissioner for Refugees, told CNN. "Our job is to move the refugee crisis into a frame people understand -- into a product challenge."